We have a beautiful campus, and at 350 acres it is very easy to get around on foot, with a skateboard, or on a bike. Exploring Richmond can be a little more challenging. Luckily, there are many free and cheap options for getting around the city. Test your knowledge, learn more, or get one step closer to joining URSA with our transportation quiz. There are four mapped trails on campus, three around the lake and one that goes all the way to the James River. You can view a map of all four trails here. You can use Ridefinders to find carpooling options. You can also rent a Zipcar on campus. 35 bikes are available to all students, faculty, and staff to travel around campus in a fun and environmentally friendly way. 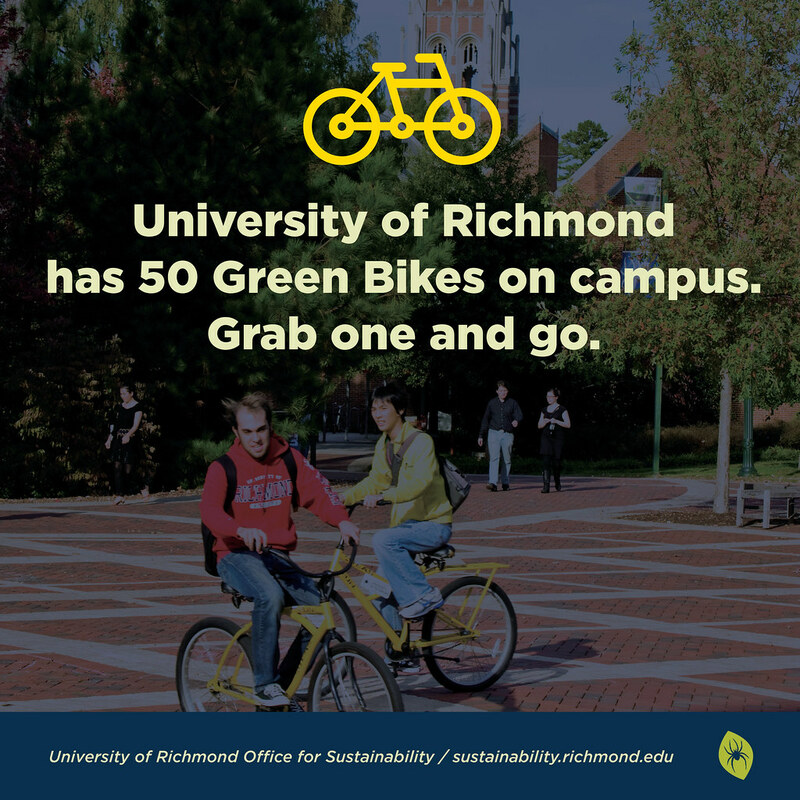 To take advantage of this program, simply find a bike on campus and start riding! Need to take a bike off campus? There are 6 mountain bikes available for rent for a weekend through the Outdoor Equipment Rental program. The bikes come fully equipped with helmets and locks. Pick yours up at the the Outdoor Adventure & Recreation (OAR) desk located in the Weinstein Center for Recreation and Wellness. If you have a flat tire or need to tighten up a loose brake cable, basic maintenance is just a short walk away. There are two self-repair stations include all the tools necessary to perform basic bike repairs and maintenance. The fix-it stations are located in front of the Weinstein Center and at the Gateway apartments. The University provides city bus passes to students, faculty, and staff. Get your free pass here. Get information on the bus routes to and from campus here. The Willow Lawn Xpress operates Monday through Friday from 7am to 4pm. Leaving the Transportation Hub, the Xpress will make stops at Libbie/York, Willow Lawn Drive, and Maple/Grove. 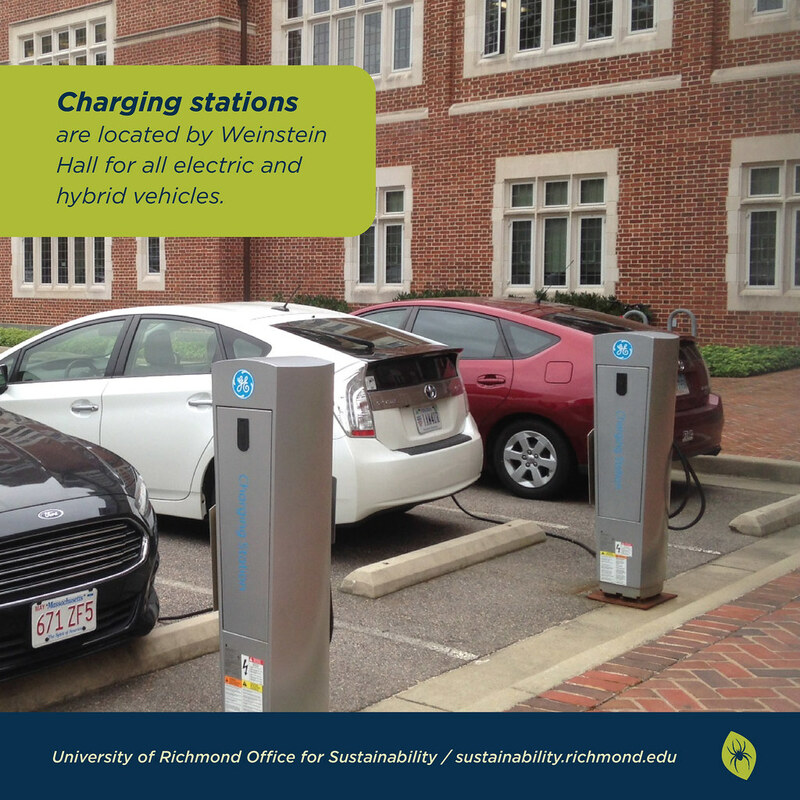 The Willow Lawn Xpress provides constant transportation to the Willow Lawn Pulse station for access to downtown Richmond and the University of Richmond’s downtown campus and the Richmond on Broad Café. The Libbie/York stop will connect with GRTC Bus 77 for transportation to the Virginia Museum of Fine Arts. View the full schedule here. This shuttle operates Monday through Friday. The Thompson and Grove stop is within walking distance to grocery stores, drug stores and the wonderful shops and boutiques of Carytown. 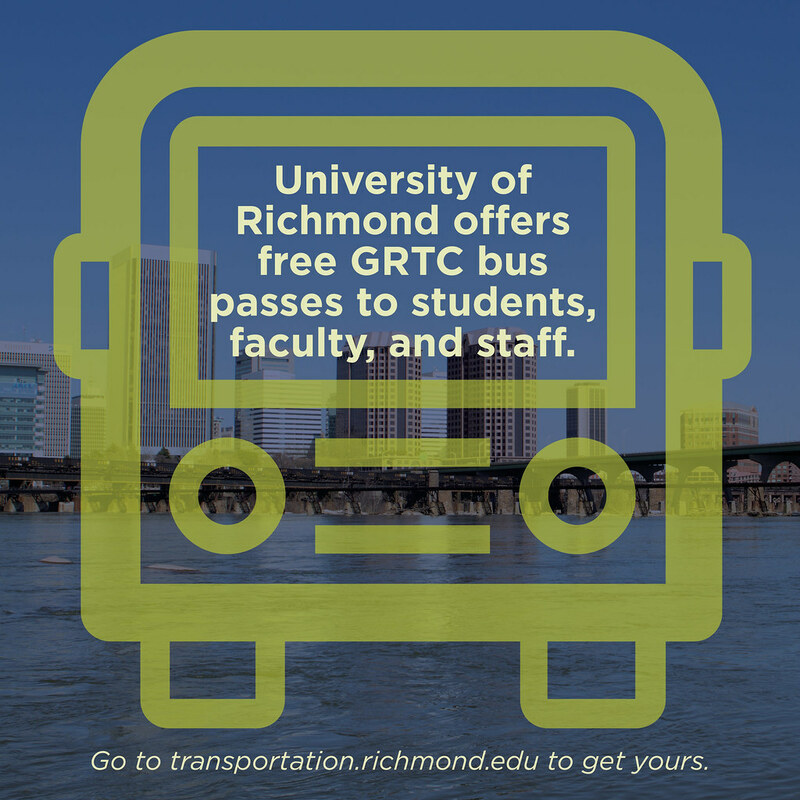 The 8th and Grace Streets stop offers access to the Richmond Convention Center, Virginia State Capitol, and many of the Bonner Center for Civic Engagement's partner organizations. The UR Downtown Shuttle stops in front of UR Downtown on Broad Street, providing convenient access for faculty, staff, and students to the University of Richmond’s downtown campus and the Richmond on Broad Café. The UR Downtown shuttle will stop at Maple and Libbie by request only. The Evening Circuit shuttle operates Monday through Friday from 4:05pm to 10:05pm (9:05pm during the summer). This shuttle, along with GRTC Bus 75, provides transportation to the Pulse’s Willow Lawn Station every half an hour from 4:05pm to 6:32 pm. For those who need to get off campus for the daily essentials, this shuttle takes you to Target, the Shops at Willow Lawn and into Carytown. For faculty and staff leaving for the day, the Evening Circuit connects to Bus 77 at Libbie and York, the Pulse at Willow Lawn Drive and Bus 5 at Ellwood and Thompson. The Campus Loop shuttle is a nightly continuous shuttle that runs through campus seven days a week with extended service on weekends. Look at the full schedule here. The Weekend Connector operates on Saturdays and Sundays from 10:05 a.m. to 10:05 p.m. This shuttle stops at the Libbie and Broad Streets, Willow Lawn Drive and Elwood and Thompson. At Willow Lawn Drive you can connect to the Pulse for transporting in the City of Richmond or Bus 77 which will take you by the Virginia Fine Arts Museum and the Virginia Science Museum. View the full schedule here.